Morning you lovely lot! Don’t worry, I didn’t wake up at the crack of dawn to do this ha, I prepared it last night. 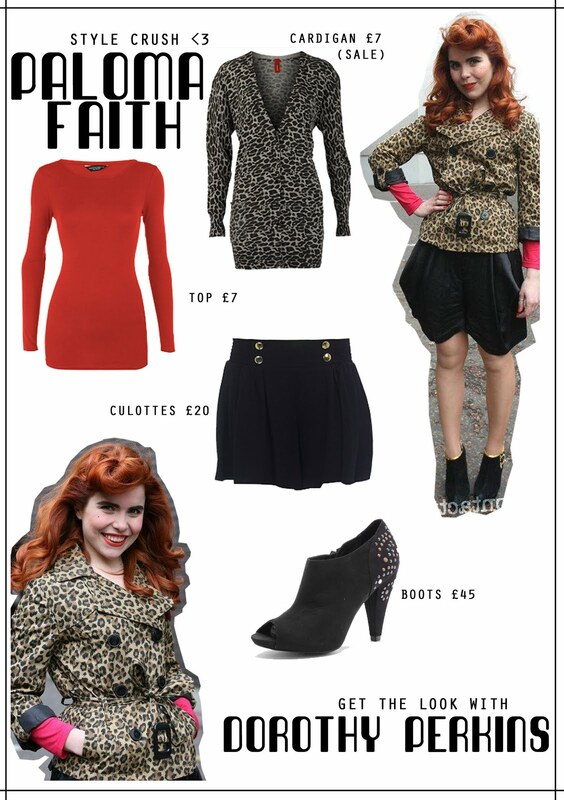 This week I’ve chosen Paloma Faith as my Style Crush. I love her confidence and I also love her red hair and pale skin, much like Nicola Roberts. This outfit would sound awful on paper, but she pulls it off brilliantly in person. I especially love the culottes, and I’ve got a couple of pairs myself for the summer! This is my version of the outfit, all items from Dorothy Perkins. Hope you like it! (sorry about the image quality. I don’t know what happened! )Let me know who you would like to see as a Style Crush in the future! Back in the next few days with a shopping haul post. "GIVEAWAY -BOWS & BANDITS – 100 FOLLOWERS"